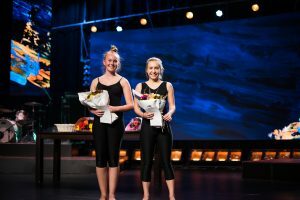 Niav Rice (year 9) and Ella Ironside (Year 11) were selected to sit the Solo Seal for the NZ Association of Modern Dance this year. To put this into perspective, only three dancers in Auckland have been selected and Niav and Ella are two of them! A wonderful achievement, well done girls. We are so proud of you!